Ancient Israelite law had a specific statute for the case of apostate cities. The detailed law, as found in Deuteronomy 13:12–18, required that inquiry be made to determine if the city had truly gone apostate, and if so, required that it be utterly destroyed “with the edge of the sword” (v. 15), all people and livestock killed, the city burned and left “an heap for ever; it shall not be built again” (v. 16). According to Richard H. Hiers, “The Bible does not report that any Israelite cities, or their people or cattle actually were destroyed pursuant to this law.” While the Bible may not, the Book of Mormon likely does. 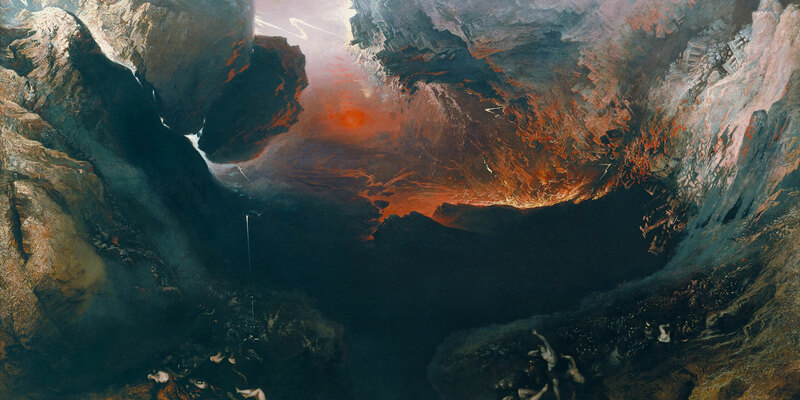 In the book of Alma, the destruction of Ammonihah comes seemingly out of the blue—“in the eleventh year of the reign of the judges … on the fifth day of the second month,” amidst “much peace in the land of Zarahemla,” with “no wars nor contentions for a certain number of years” (Alma 16:1). Then, out of nowhere, “the armies of the Lamanites had come in upon the wilderness side, into the borders of the land, even into the city of Ammonihah, and began to slay the people and destroy the city” (v. 2). The destruction wrought upon Ammonihah was thorough and complete. The people of the city “were destroyed; yea, every living soul of the Ammonihahites was destroyed, and also their great city” (Alma 16:9). In a single day, the city “was left desolate; and the carcasses were mangled by dogs and wild beasts of the wilderness” and “their dead bodies were heaped up upon the face of the earth, and they were covered with a shallow covering” (vv. 10–11). In the wake of the destruction, “the people did not go in to possess the land of Ammonihah for many years” and it was termed “Desolation of Nehors” (v. 11). It is not until later that the reader learns about why the Lamanites attacked the city out of vengeance against the Nephites (Alma 25:1–2). Instead, Mormon prefaced this account with the record of Alma’s missionary journey to Ammonihah (Alma 8:6–13), Alma and Amulek’s preaching to the people (Alma 9–13), and a detailed accounting of the people’s abhorrent crimes (Alma 14). Perhaps this was deliberate on Mormon’s part to focus the reader’s attention on what he saw as the ultimate cause of their destruction and desolation: fulfillment of the law of apostate cities. The law required that the situation be investigated; that “thou inquire, and make search, and ask diligently” as to whether the city truly was apostate (Deuteronomy 13:14). As high priest, the responsibility naturally fell upon Alma to investigate, and while there the Lord provided Amulek as the necessary second witness (Deuteronomy 17:6) to condemn the city. Alma declared them “a lost and a fallen people” (Alma 9:30, 32), and “thereby effectively identified them as an apostate people under Deuteronomy 13, making them subject to the mandate of annihilation.” He specifically echoed Deuteronomy 13:15 when he prophesied that the Lord “will utterly destroy you from off the face of the earth” (Alma 9:12; cf. v. 24, emphasis added). Amulek also declared that the Lord would visit them “with utter destruction … by famine, and by pestilence, and the sword” (Alma 10:22, emphasis added). Recognizing the way this tragic story conforms to the law of apostate cities is evidence that both Alma and Mormon were familiar with the legal standards this section in the law of Moses required. Ammonihah was destroyed in fulfillment of the Israelite law governing the lands of promise. 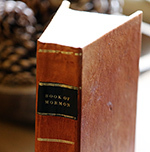 In observing the law of Moses strictly (Alma 30:3), Alma appears to have consciously acted according to each of its requirements, and then Mormon arranged his abridgement to emphasize the complete fulfillment of this law. This case both ties the text to the ancient world and indicates technical legal sophistication on the part of its authors. Understanding this background also illuminates the strong arm of the Lord’s justice. The people’s wickedness and the law of apostate cities provide the theological justification for the utter annihilation of Ammonihah. The narrative structure reinforces this theological reason for the event by placing it right after Alma and Amulek’s missionary efforts in Alma 9–10, withholding the Lamanites’ reasons for the attack until later (see Alma 25:1–2). Yet the Lord’s mercy is also present in the narrative. Alma had all he needed to condemn the city as apostate after his first visit (Alma 8:8–13). Nevertheless, the Lord insisted that Alma return (Alma 8:14–17), that a second witness be called (Alma 10:10, 12), and that a full warning of the impending destruction be given to the people (Alma 9:12, 24–25; 13:21–30). The Lord could see the looming attack coming from the land of Nephi (Alma 25:2), but people in Ammonihah could not. The Lord had long spared the people due to the prayers of the few righteous among them (Alma 10:22–23). All of this is an indication of the Lord’s mercy and patience with this wicked and apostate city. Alma and Amulek’s preaching even resulted in some being converted (Alma 14:1), no doubt bringing great joy to the Lord to see their efforts bear some fruit (see Doctrine and Covenants 18:10–16). As they were converted, Zeezrom and other men were cast out (Alma 14:7), and ended up in Sidom (Alma 15:1). Though several others—women and children—tragically suffered a martyr’s death (Alma 14:8–11), these few converts were ultimately spared the fate of Ammonihah, another indication of the Lord’s mercy. John W. Welch, The Legal Cases in the Book of Mormon (Provo, UT: BYU Press and Neal A. Maxwell Institute for Religious Scholarship, 2008), 238–271. John W. Welch, “A Steady Stream of Significant Recognitions,” in Echoes and Evidences of the Book of Mormon, ed. Donald W. Parry, Daniel C. Peterson, and John W. Welch (Provo, UT: FARMS, 2002), 369–372. Stephen D. Ricks, “‘Holy War’: The Sacral Ideology of War in the Book of Mormon and in the Ancient Near East,” in Warfare in the Book of Mormon, ed. Stephen Ricks and William Hamblin (Salt Lake City and Provo, UT: Deseret Book and FARMS, 1990), 110–114. Richard H. Hiers, “Reverence for Life and Environment Ethics in Biblical Law and Covenant,” Journal of Law and Religion 13 (1996–1998): 167. Likewise, Paul-Eugene Dion, “Deuteronomy 13: The Suppression of Alien Religious Propaganda in Israel during the Late Monarchical Era,” in Law and Ideology in Monarchic Israel, ed. Baruch Halpern and Deborah W. Hobson (Sheffield, Eng. : Sheffield Academic Press, 1991), 147–216: “there is no evidence that the Judaean community ever was able and willing to undertake any action comparable to the hērem of Deut. 13.13–18 until the time of the Maccabees” (p. 195). Later in the same paper: “It is true that no historical example has been preserved of the horrors of law 3 being brought down on any Israelite city” (p. 205). See John W. Welch, “The Destruction of Ammonihah and the Law of Apostate Cities,” in Reexploring the Book of Mormon: A Decade of New Research, ed. John W. Welch (Salt Lake City and Provo, UT: Deseret Book and FARMS, 1992), 176–179; John W. Welch, “Law and War in the Book of Mormon,” in Warfare in the Book of Mormon, ed. Stephen Ricks and William Hamblin (Salt Lake City and Provo, UT: Deseret Book and FARMS., 1990), 91–95; John W. Welch, “A Steady Stream of Significant Recognitions,” in Echoes and Evidences of the Book of Mormon, ed. Donald W. Parry, Daniel C. Peterson, and John W. Welch (Provo, UT: FARMS, 2002), 369–372. There is also relevant material scattered throughout the chapter on the trial of Alma and Amulek in John W. Welch, The Legal Cases in the Book of Mormon (Provo, UT: BYU Press and Neal A. Maxwell Institute for Religious Scholarship, 2008), 238–271, see esp. p. 245 and 269. Deuteronomy 13 does not, itself, call for legal witnesses, but Dion, “Deuteronomy 13,” 194 noted that certain passages in the chapter “certainly imply the intervention of a judicial process,” and, “In light of the more explicit [Deuteronomy] 17.7, it can be seen that [Deuteronomy] 13.10 reflects a procedure requiring witnesses to demonstrate the firmness of their testimony by playing a leading role in the execution itself.” It would therefore follow that the law of witnesses would be expected to apply to the condemnation of an apostate city. Table adapted from John W. Welch and J. Gregory Welch, Charting the Book of Mormon: Visual Aids for Personal Study and Teaching (Provo, UT: FARMS, 1999), chart 126. Also see Welch, Legal Cases, 269. Notice that these who suffered death were to “stand as a witness against” the people of Ammonihah (Alma 14:11). On the meaning of martyr as “witness,” see Book of Mormon Central, “What Does it Mean to be a Martyr? (Ether 12:37, 39),” KnoWhy 1 (January 1, 2016). Stephen D. Ricks, “‘Holy War’: The Sacral Ideology of War in the Book of Mormon and in the Ancient Near East,” in Warfare in the Book of Mormon, 113–114.